Do you know a lovely Leo, curious Cancer, gleeful Gemini, talented Taurus, passionate Pisces or an adorable Aries who also loves cats? Well you can now buy them the perfect gift! 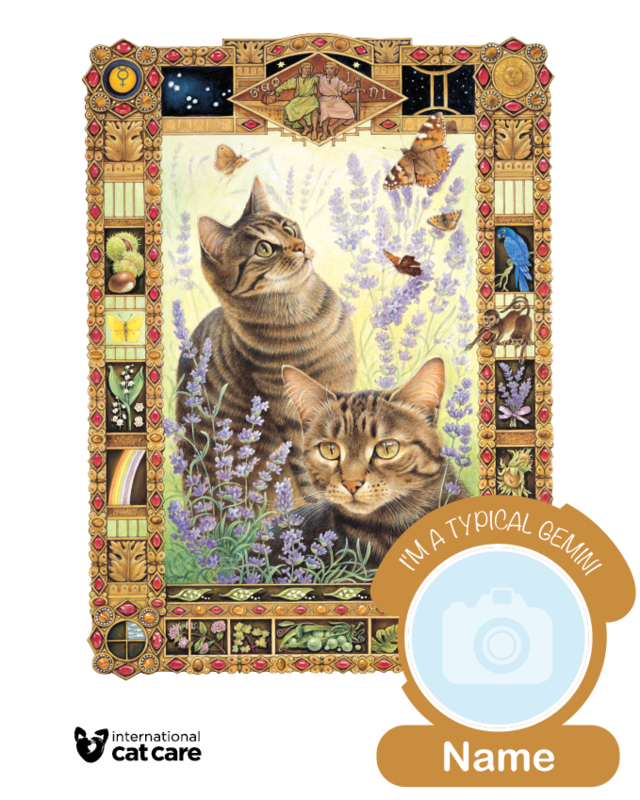 Lesley Anne Ivory is proud to be associated with the charity International Cat Care that is raising money for its work through sales of Lesley Anne Ivory t-shirts - all of which feature astrological-themed cat prints. Buy an LAI zodiac cat t-shirt! With a delightful cat for each zodiac sign they are a must-have gift for any cat lover. Choose your star sign, enter your name and upload your photo to personalise your t-shirt with an I'm A Typical [star sign] motif. Costing £14.99 + postage & packaging, £2 from each and every sale goes to support the work of International Cat Care. Pet cats, stressed cats, ill cats, homeless cats, free-living cats, old and young cats all have different needs, different problems and different approaches. And this is where International Cat Care comes in to engage, educate and empower people throughout the world to improve the health and welfare of cats by sharing advice, training and passion. For over 50 years International Cat Care has been raising the standard of treatment and care provided to cats by veterinary surgeons, boarding cattery operators, those involved in rescue work, breeders and, of course, cat owners by providing the best information possible. Formerly known as the Feline Advisory Bureau (FAB), International Cat Care asks for your support to increase its international welfare work for unowned cats, the demand for information from cat owners all over the world and for its work with veterinary organisations worldwide.